So your daughter wants sneakers with polka dots, unicorns and ballerinas in magenta tutus and your son has put in an order for a zebras in outer space theme… Where in the world will you find those combinations? 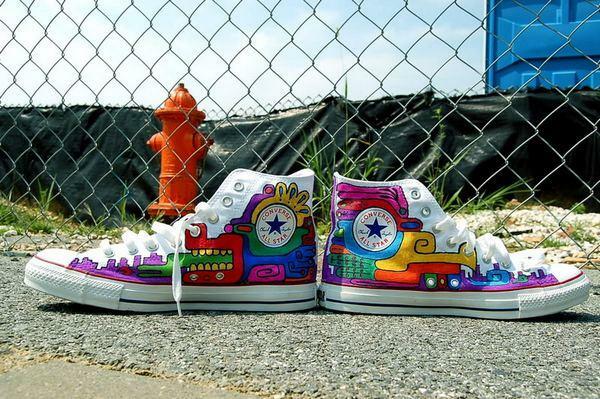 Artist Johnny Marra is sprucing up standard canvas sneakers with colourful characters and patterns on demand. Marra has been involved in numerous public and street art projects in America and his bright, cartoon-like pictures translate perfectly to feet-sized canvases. 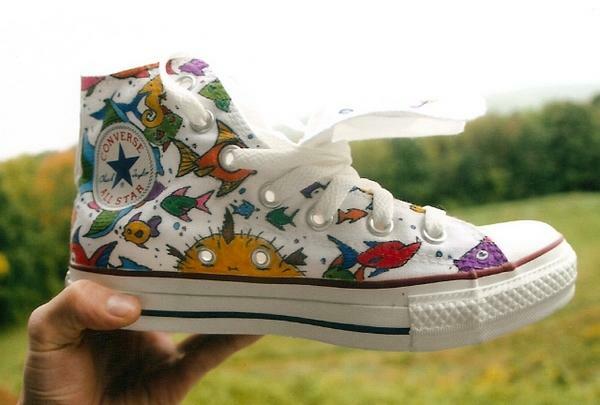 Place your order with Green-Eyed Monster and you will be put in contact with the artist to discuss your child’s grand vision for their very own custom kicks. 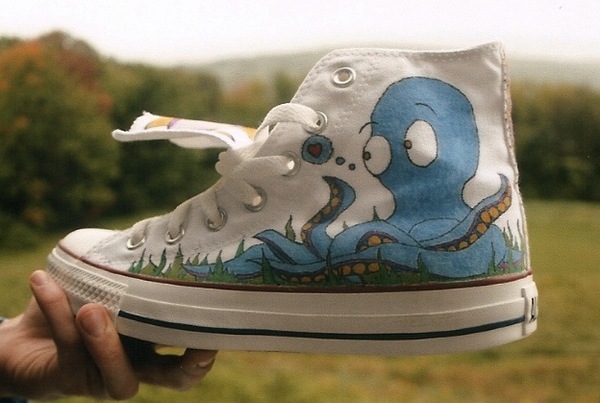 Custom shoes are US$50 (that’s for the artwork – you supply the shoes) and can be shipped to Australia by arrangement.